In the previous segments reflecting on 2017 sports, we had an examination of the major impact on sports, the effects of Hurricane Irma and its decimation of facilities throughout the territory. The second installment focused on team sports. The third segment looked at individual sports, the bedrock of international participation. Last year can be described as a watershed year for team sports in the territory as Football, Softball and Basketball, fielded teams in regional tournaments, some for the very first time. Softball hosted its first tournament in years as well. The BVI turned the ball over 44 times to El Salvador’s 15. In their next game, the BVI started off just as they did against El Salvador and fell behind Guatemala 26-6 in the first quarter then lost 98-35. Their woes continued with a lopsided loss to Mexico, who shut them down in the second half, outscoring them 53-9, during a 110-29 triumph. For the third straight game, turnovers dogged the BVI, who committed 44 to Mexico’s 9 and the Mexicans capitalized with 47 points off turnovers. The BVI showed improvement on the defensive rebound with Mexico holding a 31-30 edge but Mexico dominated on the offensive rebounds, 33-10. As the tournament progressed, fatigue took a toll on the BVI. In their next outing, the Bahamas fended off the BVI 79-60. 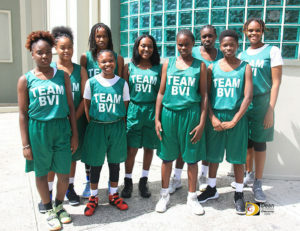 The BVI had their best quarter of the tournament when they outscored the Bahamas 13-7, to pull within 34-22 at the half. The BVI’s U15 CONCACAF Team:L-R: Sheldon Harry, medical, Jaden Prentice, Guillaume Parkins, Marcus Butler, Shamoi Dore, Glenford Prentice, Kahil Farrington, Justin Smith, Marcos Falopa (Coach/Technical Director) Jake Forbes, Delvin Jones, Miguel Marshall, Tyler Forbes, Giovani Grant, Richie Morton (Assistant Coach). The BVI won Group J of the CONCACAC U15 Boys Soccer Tournament held at the IMG Academy in Bradenton, Florida, over the summer, after streaking to a 3-0 record before being subdued by Suriname, 6-0. The BVI opened their account in the with a 4-0 victory over Anguilla. Miguel Marshall began the BVI’s scoring half way through the first part of their 35 minutes per half game, for a 1-0 lead. English player Tyler Forbes doubled the lead 10 minutes before half time on a header off a Lucka Chalwell cross, as the BVI went in with a 2-0 advantage over Anguilla. Forbes scored again early in the second half to make it 3-0, after he spun of an off side trap and flicked the ball past the Anguillan goal keeper. Marcus Butler put the game to bed with his goal towards the end of regulation. Marshall said it was a tough game and they had many opportunities that they did not capitalize on. “When I got my opportunity, I had to finish it,” he said. They followed up with a 7-3 victory over the Turks and Caicos Islands, before beating Montserrat 8-2, to go unbeaten in group play. In their final match, after playing to a scoreless half, French Guiana ended the BVI’s unbeaten run with a barrage of goals to walk off with a 6-0 victory. BVI captain Guillaume Parkins said French Guiana was a bit fitter than his squad but, there were a few opportunities that they did not capitalize on, including a one on one situation which the French Guiana goal keeper saved. 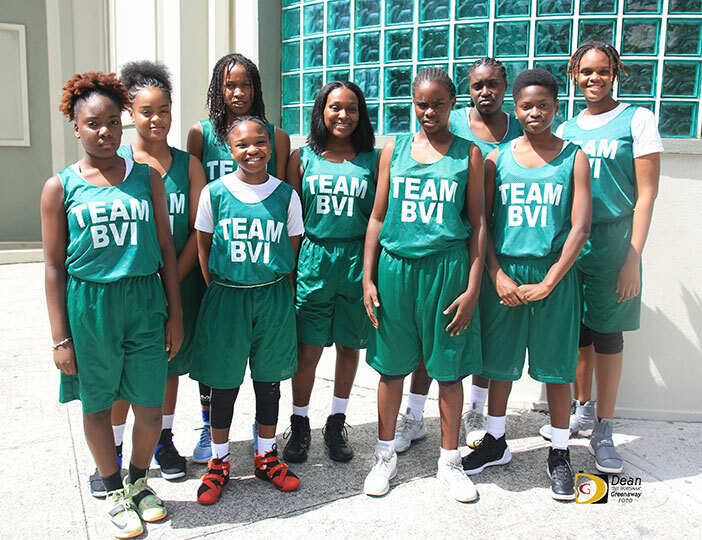 Parkins said overall it was the good tournament for the BVI with three victories where they scored 19 overall goals in group play, the team made great strides and there are many lessons to be learned. 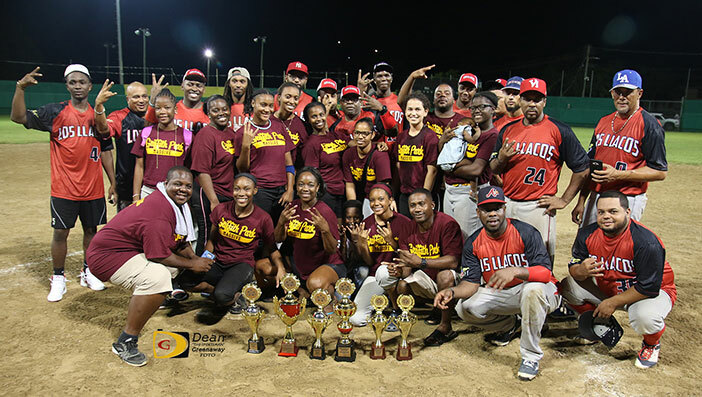 After several blowout losses, the BVI Women’s Softball returned from the IX Pan American Women’s Championships held in Santo Domingo, Dominican Republic, after salvaging their trip with their only victory over the Bahamas. In what coach Allen “Woodrow” Smith described as the tournament “didn’t go too good” the BVI lost to Cuba, 15-0; Mexico, 16-0; Canada, 11-0, a game that was 5-0 in Panama’s favor in the sixth, Panama scored 20+ runs and he called off the game as they couldn’t get anyone out. The beat the Bahamas 3-1 before falling to Argentina, 16-1, with the lone run being a Darier Malone homer; Guatemala,10-0 and Malone homered against Brazil during a 14-1 setback. Prior to their departure, Smith said they weren’t as prepared for the tournament as they should be but they were going for experience and to get a feel of where they are so they can better plan a way forward. Following successive blowout loses and they beat the Bahamas, Smith said the victory brought a sense of togetherness within the team. Everyone he said was happy and overjoyed and glad to know they won a game at that level of competition. He said it gave the team a boost. While fitness also played a factor, Smith said they had a therapist along with the team and his observation and report brought out the fact that the team was not fit enough. Their muscles are tight which holds them back and they can’t swing properly as a result. Their tightness also affects their running ability and slows them down. Smith said the Virgin Islands Baseball Softball Association will meet next week to map out a plan among other things. He said they are not going to let the team drop off and they will continue to train for any upcoming opportunities. St. Thomas’ Griffith Park Massive Women’s team and St. Croix’s Los Llacos Men’s team, were crowned champions of the Raymunco “Mundo” Boynes Memorial Softball Tournament held at the E. Walwyn Brewley Softball Park, with victories over That’s Ya Problem and the BVI All Stars respectively. It was the first tournament the territory has hosted in years. Griffith Park Massive who beat That’s Ya Problem 8-3 in its opener, scored four runs to break a 0-0 tie in the fifth inning of the championship game, then fended off Virgin Islands Baseball Softball Association 2017 champions That’s Ya Problem who mounted a seventh inning rally, for a thrilling 4-3 victory. That’s Ya Problem had two of their four hits in the first inning against Tredesha Hart, put runners in scoring positon several times, but was unable to capitalize. Pitcher Shakeria Jeffers kept Griffith Park Massive off the base path, matching Hart stellar pitching before tiring in the fifth when she walked six and GPM capitalized with a hit and TYP errors to take a 4-0 lead. Sibily who won the tournament MVP award, said she thought it was nice to have to tournament with players from the different islands. Clendenin said the overall tournament for the third leg was exciting. He said he can’t wait to get to St. Croix in November. Following their opening loss to Griffith Park Massive, That’s Ya Problem returned to take a 13-10 victory over Eat, Meditate, Play, Win (EMPW) while Griffith Park Massive eliminated EMPW with a 5-4 victory. Steven Leblanc of Griffith Park Massive, slides safely into third base as BVI All Stars’ Sylvester “Bucker” Johnson bobble the ball. Los Llacos of St. Croix, clawed the BVI All Stars, 9-3 to win the Men’s Division and complete a coveted Triple Crown. Los Llacos avenged Friday’s 7-5 loss to the BVI All Stars in the tournament opener, when they broke the 1-1 game open in the top of the fifth inning. With Neville “Sheep” Smith who’s making a comeback after retiring, tiring in the fifth Yevris Rodruguez relieved Smith, but only lasted a 1/3 of an inning. Los Llacos sent nine to the plate, got four runs on 4 hits to take a 5-1 lead. In the seventh, they picked up another four runs for a 9-1 edge, before the BVI All Stars scored in the bottom of the inning. Arthur Canaii, David Clarke and Steve Simmonds, had two hits respectively for Los Llacos and each scored at least one run. Clarke had 2 RIBs. Robles sees winning the Triple Crown is a very good thing because fast pitch softball is diminishing in the Virgin Islands. The aim he said, is keeping the sport alive between the islands and there’s more to come. He said they knew it was going to be a good game and they came with a plan to play small ball, something the BVI did not do from the beginning. Player-manager Allen “Woodrow” Smith said pitching was the BVI’s weakness. Neville, he noted, pitched all he could as he’s building his strength now he’s returning from retirement. Smith said as a pitcher, everyone knows he’s not in the shape he used to be in and is playing with an injury that requires an operation. In other games played, Griffith Park Massive Men, launched a 12-hit attack during a 12-2 victory over the Mobsters. Warren Brooks fired a one-hitter and Los Llacos scored seven runs in the first inning and nine in the third during a 17-1 triumph over Griffith Park Massive. The BVI All Stars sent 14 batsmen to the plate and scored all their runs in the first inning, during a 10-2 whipping of the Mobsters. The BVI All Stars overcame a 3-1 deficit to beat Griffith Park Massive, 8-4.